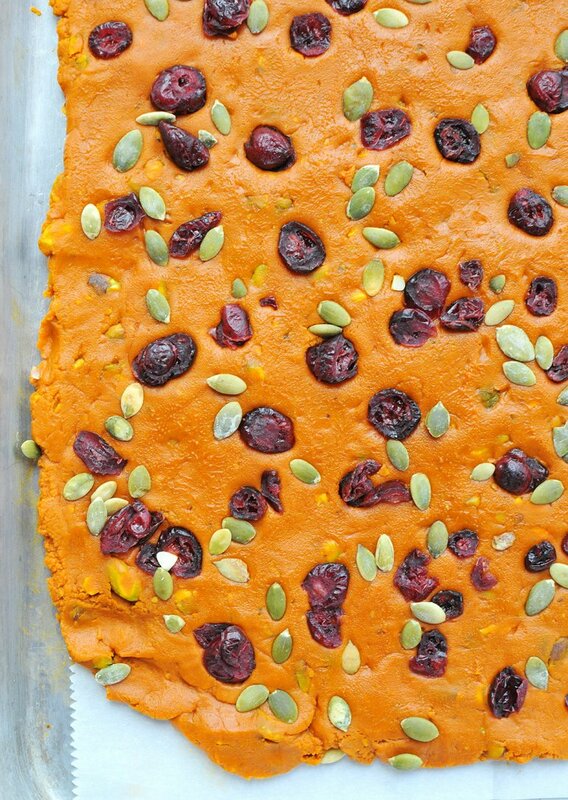 This pumpkin butterscotch is the perfect way to celebrate the beginning of autumn. It is like pumpkin pie in bark form. 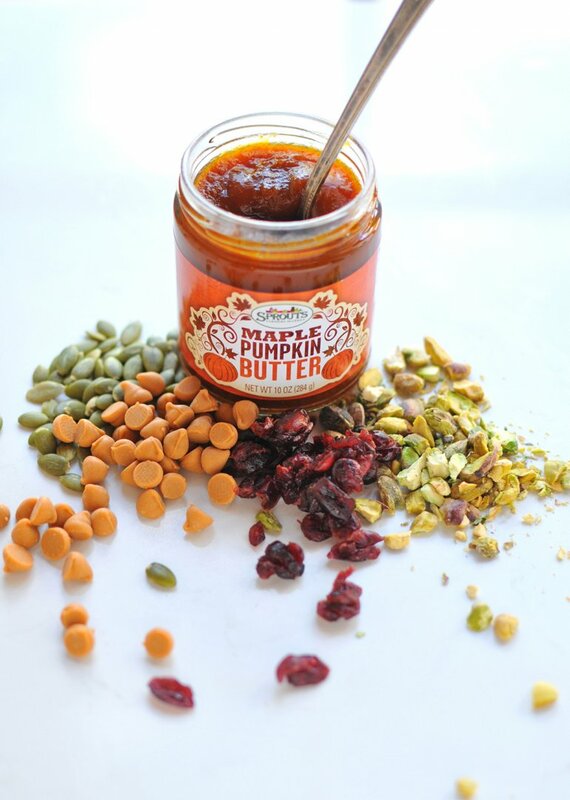 The pumpkin flavor (thanks to Sprouts Maple Pumpkin Butter, oh my starzies... so good!!) 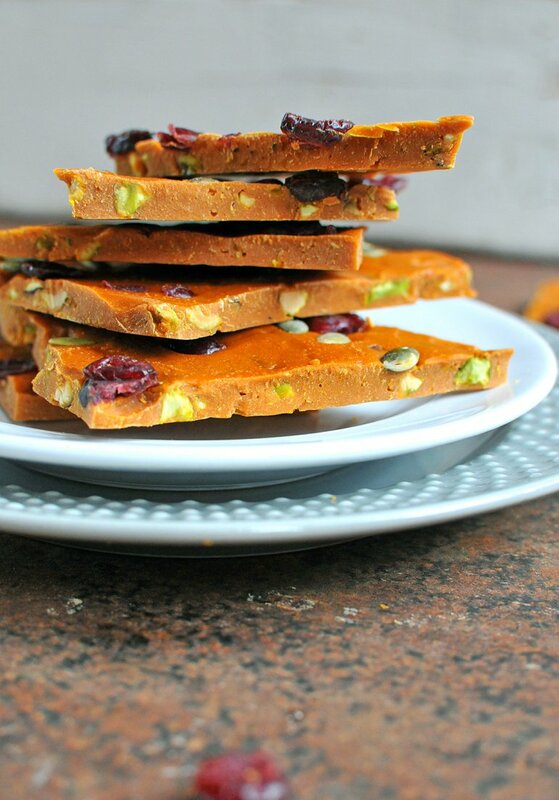 is infused into the melted butterscotch, the pistachios and pepitas give it crunch, and the dried cranberries add a hint of sweetness. And this pumpkin one is by far my absolute favorite. 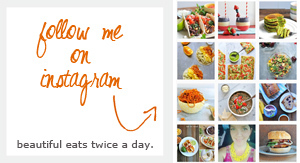 But you might also like my carrot cake one, my apricot chocolate quinoa one, or my orange walnut one. I told you I love bark!! I love that Sprouts Farmers Market has so many private label organic foods to choose from --- and at really good prices. And their pumpkin line is soooooo delish. I used their Pumpkin Apple Cider and their Maple Pumpkin Butter in my latest cocktail. 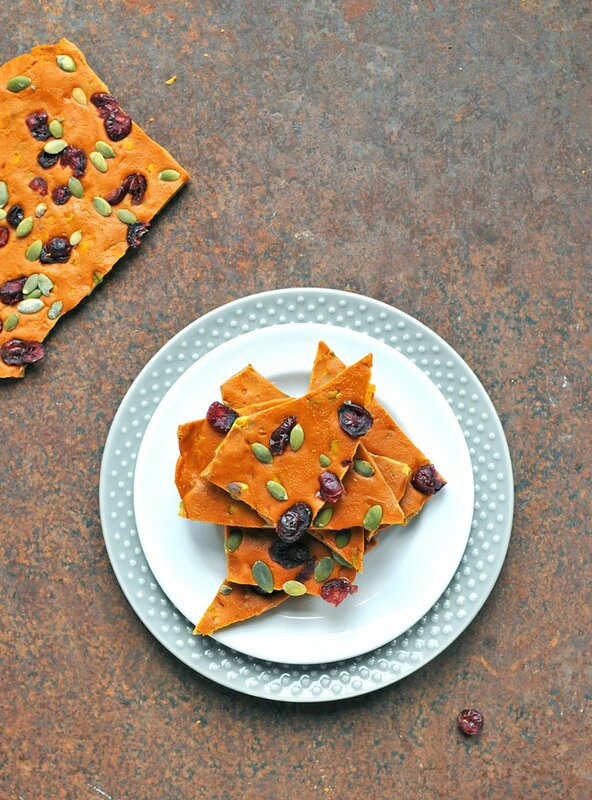 And their Cranberry Pumpkin Crisps are perfect with a cup of coffee. Make this bark. 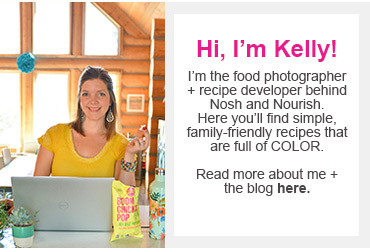 Then, bring it to a party, package it up to give to friends or your kids' teachers (they will love you forever! ), or eat it for dessert at home with the fam. Melt the butterscotch chips and pumpkin butter in the top of a double boiler or in a stainless steel mixing bowl set over a pot of simmering water (make sure the bottom of the bowl doesn’t touch the water). Approximately 5 minutes, stirring continually. Once they are melted completely, stir in the crushed pistachios. Pour the mixture onto a baking sheet lined with parchment paper. Use a spoon to flatten and level the mixture. Sprinkle the dried cranberries and pepitas evenly over the top, pressing them down gently with your hand or the back of a spoon. Cool for 1 hour in the refrigerator, then break apart into pieces and enjoy!